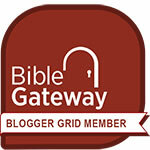 Late last August, I signed a contract to write a new Bible study for First Place 4 Health. I had no way of knowing that I’d be purging my entire household and moving aboard a sailboat while in the throes of writing it a few months later. Purging 36 years’ worth of accumulated belongings is a fulltime job. So is writing a Bible study. The March 1 deadline came and went, and I had to ask for an extension to complete it. My goal is to get ‘er done by Wednesday afternoon because I take off for Kathmandu on Thursday morning. Nothing like a little pressure to keep one focused, yes? Besides the purging, packing, moving, and writing, I drove to Alberta to spend Christmas with family, spent a week in Texas at a First Place 4 Health wellness retreat, and hosted our International Messengers booth for three days at Missions Fest Vancouver in hopes of finding volunteers to help with our evangelistic summer camps. The pressure’s been intense for weeks. At times I’ve wondered how in the world I could continue especially with producing the manuscript. On those days, God sent me a visual reminder to keep my focus on Him. I lived in a city until 10 days ago. One afternoon I stepped outside the house, looked up, and saw a bald eagle soaring. Now I live in a marina directly across from a bird sanctuary. One morning last week a bald eagle sat on a transmission pole near our dock. I spoke at a women’s retreat on Quadra Island over the weekend. Traveling there meant catching a BC ferry near Delta. On that drive last Wednesday, I saw at least 15 bald eagles perched in a tree beside the highway. Less than a mile down the road, I saw a farm yard with three or four eagles sitting in every tree. Yesterday afternoon while driving home from the retreat, I saw three bald eagles soaring over the treetops near the highway. This morning a good friend sent me a FB link containing several photos taken yesterday. Each photo contained one or more bald eagles. God’s got my attention, and He’s got my back too. I resist the temptation to fall into fear or discouragement. I choose to keep my eyes on Him and to trust Him to strengthen me to complete the work He’s called me to do during this crazy busy season. No doubt some of you reading this are feeling pressure too. May I pray for you? Much much needed word from the lord.. I love this scripture in Isaiah! I know the past few months has been very trying for me. My mother in law had a stroke my husband and I are her only care givers I am 7 months pregnant but during all of this the lord has really taught me so much. My mother in law is one of his saints and he has trusted me enough to care for her. He has taught me to be selfless and not selfish (which has not been easy) but my husband has lead me and taught me how. God is so great! What he devil meant for evil God will always turn it around for his good and glory! Praying for many blessing on this new journey in your life! Mandy, may the Lord bless you and strengthen you for caring for your mother-in-law. Wow–you’re a gem to pour yourself into that relationship. May He fill you with joy and peace and rest. May He lavish His love on you, sweet girl. Let me know when you have your baby, okay? Praying for you Grace and I so look forward to doing your Bible Study in First Place 4 Health. God bless you and hubby as you enjoy NEW adventures on the water. I would love to see that many Eagles. They are so awesome. What a true blessing God gave you to see that many in such a short span of time. He loves you and so do I. Keep waiting/trusting! 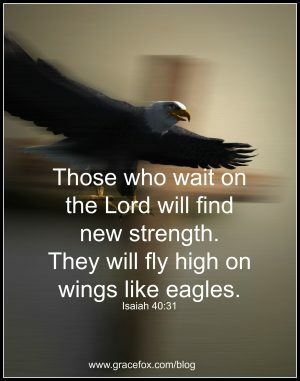 Keep soaring! Debbie, so good to hear from you! I finished the Bible study today! Wahoo! Off to Nepal tomorrow. I wish, too, for you to see that many eagles in such a short span. They truly are an amazing bird. Strong. Beautiful. Majestic. Like our God. Much love–Grace.